Ceiling insulation has never been as important as it is today. With the ever increasing cost of electricity, as well as the load shedding experienced in recent years, an energy efficient home is one of the primary desires of all South African homeowners. Not only does a well-insulated home save you money, it keeps you comfortable and healthy – improving your lifestyle. In Summer, Thermguard roof insulation provides a barrier against the sun’s heat that builds up within your roof space, thereby leaving your living space cool and comfortable. In hot climates, air conditioning costs will be cut drastically by installing Thermguard! In Winter, Thermguard will keep your home warm by retaining any heat generated inside the living space, thus reducing your energy costs and improving your comfort. Prologue Insurance, an affiliate of Liberty Life, was founded in April 2009 after the expansion of an older franchise. The word prologue was very carefully thought of, as the franchise principal is an avid cyclist and some of the 25 staff members are ex-professional cyclists. The word Prologue means the start, hence the start of the famous grueling Tour de France, where the winner of the Prologue wears the first yellow jersey of the three week race. At Prologue Insurance we try prepare a client, like a trainer trains an athlete for the grueling Tour de France. As we are of the opinion it is very difficult to prepare for the future, as no one knows what is around the corner. In a nut shell, one might die before the expected time or one will get to retirement age and will not be able to finish their race. Surely one would like to save money for a special holiday or a life-long dream? Speak to the correct people to help you prepare once again for the race next year. Let Prologue Insurance put you in the race, so you can ride to win…Not come second – or worse, not finish at all. The last time the Port Elizabeth had a permanent ice rink was in the 1990s, with the Jadene Ice Rink at the old tramways building near the harbour entrance. The primary function of the Baywest Mall Ice Skating Rink is to provide a venue for entertainment and social activity, the secondary aim is to identify and grow skating talent within the region so that teams could be formed to put the province on the competitive ice skating map. The Ice Rink company was formed in 1996 and owns and operates five other ice rinks with four in Gauteng and one in KwaZulu-Natal – Northgate Ice Rink, Festival Mall Ice Rink, Grove Ice Rink and Forest Hill Ice Rink. The ice rink has medics on standby during peak traffic times, while managers on duty have been trained in first aid. The Baywest ice rink is “North American-sized”, measuring 27m x 54m – the standard size for South African ice rinks. The skating academy consists of an eight-week course, teaching people how to skate. Special discount rates are available to schools, party groups and other ice hockey sports teams. Social skating sessions last from 10am to 5pm and from 7.30pm to 10.30pm or 11pm, with the time from 5pm to 7.30pm set aside for sports and the skating academy. Parents are able to drop off their children at the rink while they explore the Baywest shops and restaurants, safe in the knowledge that the rink is a safe and secure environment. We have so much to offer, learn to skate academies, birthday parties, corporate functions, broomball, figure skating, ice hockey, we host numerous events throughout the year, there is something for everyone. 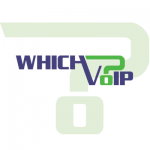 Understanding all things IP – Demystifying the technology and taking the guesswork out of different service provider offerings, WhichVoIP.co.za was created specially to present a central view of all the credible VoIP, Hosted PBX and Wireless Connectivity operators in South Africa. WhichVoIP.co.za provides industry and solution provider research and allows users to evaluate and attain an apples for apples comparison of various offerings, thereby taking the guess-work out of who is offering what in the market. This information empowers users to become informed prior to engagement and be equipped when evaluating a suitable service provider for their business voice, data, and connectivity needs. “Come and visit WhichVoIP.co.za as we take you down a road that has been paved and built on years of industry experience – long before this technology was commercailly available. We have answers to the most common evaluation criteria and are confident that you will get value from the research and information – regardless of whether you are in operations, financial or technical. o Leases and renewals processed during the month. To provide exceptional service that is professional, passionate, consistent and original which will differentiate GIMCO from their competitors in the property management services. We will strive to provide quality properties in a well maintained environment featuring the most professional service available in the market. ELABTEC can supply all your laboratory needs, from chemicals, glass and plasticware to high technology measuring devices. We supply training in English, Afrikaans and Xhosa.